Trying to keep international talks on Syria’s crisis on its preferred lines, Iran has condemned a Saudi plan to convene opposition and rebel groups in Riyadh. Saudi officials and Syrian opposition outlets have said dozens of factions will be represented, in an effort to establish a bloc for any negotiations with the international community and the Assad regime. The talks may be convened as early as next week. Naturally, any initiative regarding Syria’s opposition, those who believe in [following] a political approach and not carrying arms and cooperating with terrorist groups, should be taken in coordination with the representative of the UN Secretary General [envoy Staffan de Mistura. Russia and Iran, the two main allies of the Syrian regime, have succeeded in avoiding any reference to the future of President Assad in the plan for an 18-month transition presented after the Vienna meetings. The proposal envisages elections following ceasefires, regime-opposition talks, and a new Constitution — Iran is insisting that Assad should be able to stand, although Russia has not gone that far in its public statements. 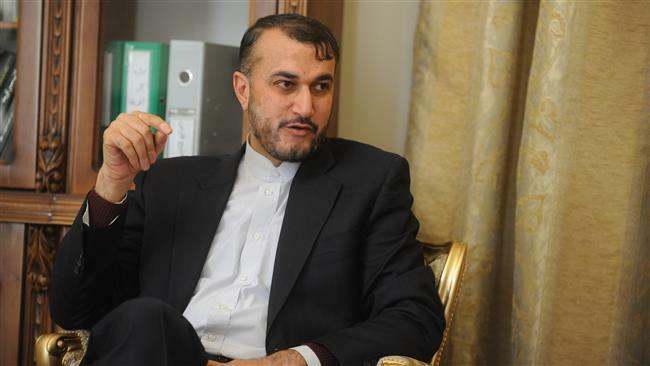 Amir-Abdollahian reaffirmed on Thursday that “every measure in Syria must be taken in coordination of the UN and following consultation with Syria’s government and its legitimate president, Bashar al-Assad”. He also said that the third round of the international talks will be held within the next 10 to 15 days. The Tehran Symphony Orchestra has walked off-stage after Iran’s authorities objected to its female musicians. The orchestra was to have performed at the closing ceremony of an international wrestling event last week, but authorities reportedly claimed that the women were fully observing the mandatory head covering of the hijab. The women musicians were going to perform the country’s national anthem. Why shouldn’t they? I have said many times that I was born in this country and I know very well where the red lines are. As long as I’m the director of this orchestra, I will not allow this kind of treatment. In the past year, hardline pressure has led to the cancellation of a number of concerts, challenging the Rouhani Government’s commitment to opening up Iran’s cultural sphere.